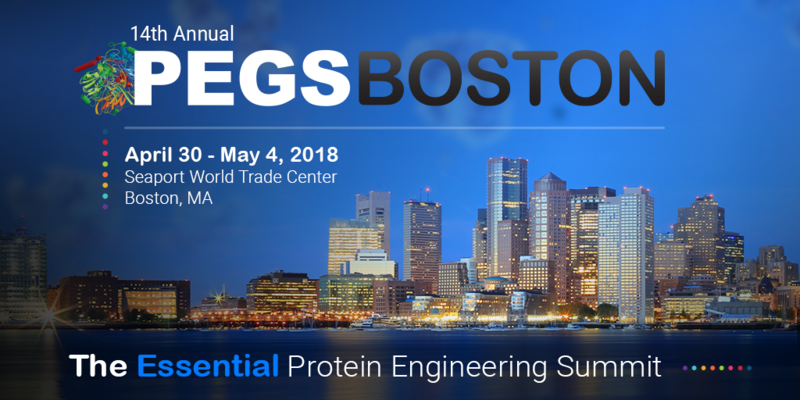 Visit Bioinformatics Solutions Inc (BSI) at booth #321 during PEGS: the Essential Protein Engineering Summit, April 30 – May 4, 2018 in Boston, Massachusetts, USA. This meetings includes a broad spectrum of topics including protein and antibody engineering, cancer immunotherapy, oncology, and emerging therapeutics. During the conference researchers will have an opportunity to get hands-on with PEAKS Studio and PEAKS AB (antibody sequencing and validation solution) to gain valuable insight from our experts. If you are unable to attend the conference, book a free web consultation with us and we will be happy to discuss the appropriate solutions for your research.